Eating seasonally can mean that at certain times of the year you miss some of your favorite foods. 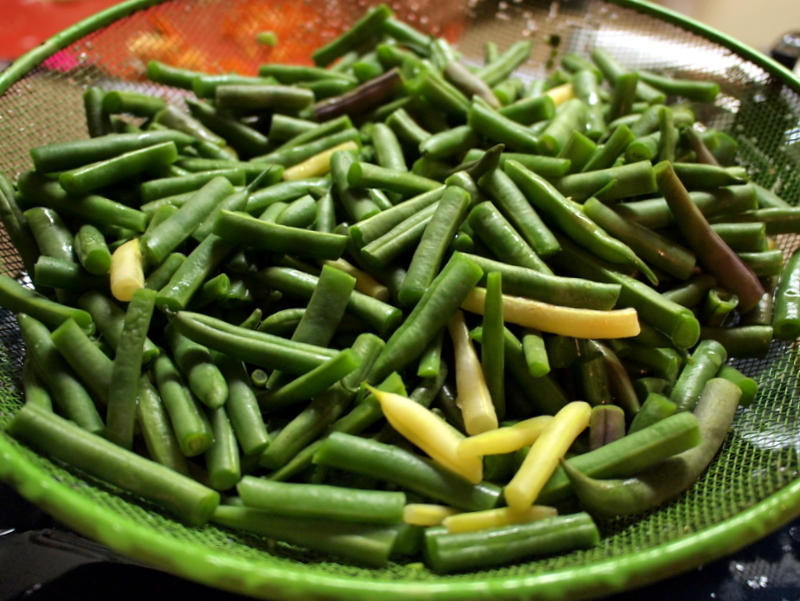 We love green beans, but the season for them in Texas is short and doesn’t satisfy a year-round craving. My Grandmother used to can green beans, which I think are delicious but acid-free canning is for the brave and people who own pressure cookers. I am neither of those things so I embrace a much simpler approach– freezing! In a large stock pot, add the salt to the water and bring to boil. 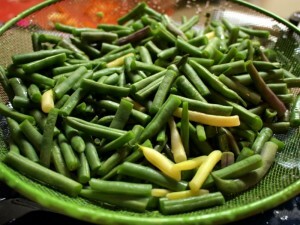 Once the water comes to a boil, add the green beans and blanch for 1 minute. Drain the beans in a colander and rinse with cool water to stop the cooking. Spread the dish towel on a clean, dry surface and spread the blanched beans out to dry. 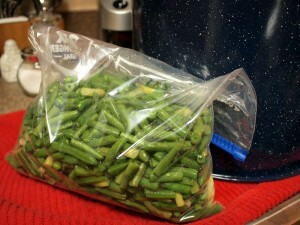 Allow the beans to dry for an hour or two then transfer to the freezer bag and place in the freezer. If the beans are dry they will not freeze together and you will be able to use them as needed in the winter months!